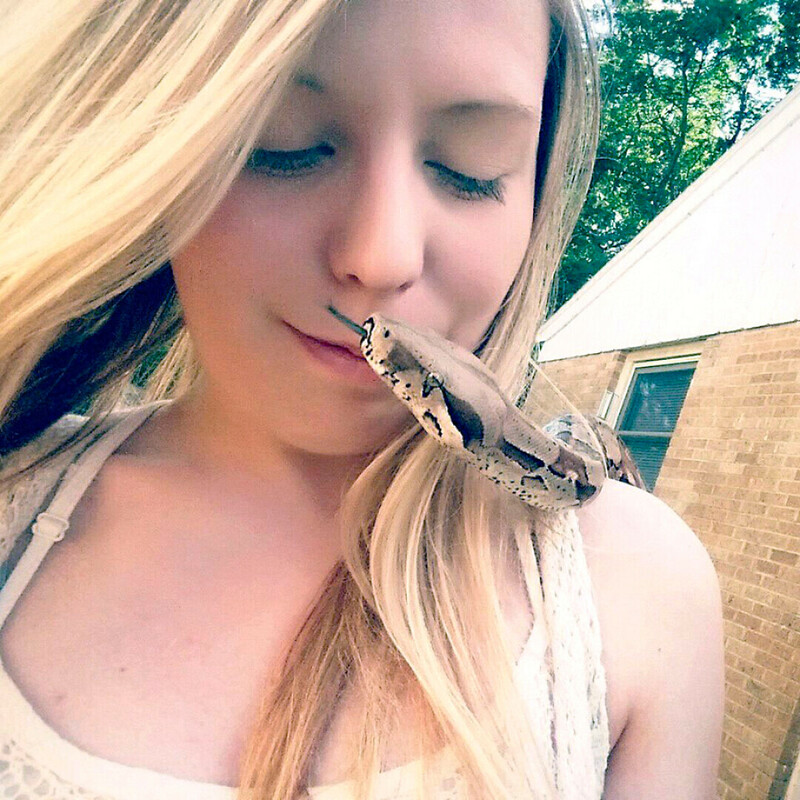 The writer and her red-tail boa, Salem. When I tell someone, “I own snakes and lizards,” I get very confused looks, as if the person doesn’t understand what I’m saying. Yes, to answer your question, I am a woman and I own things that aren’t warm-blooded or that don’t have legs or that have eight legs. Reptile owners don’t have a generalized look to them. It’s anyone really, even your grandma. You need to know that not all snakes you see are venomous, not everything that’s cold blooded is vicious (unlike your ex), and while everything that has a mouth CAN bite, that doesn’t mean it will. 2. We love reptiles as much as we love cats and dogs. Your love for Fluffy the fat cat is just as real and genuine as someone’s love for their 20-foot albino reticulated python named Cuddles. 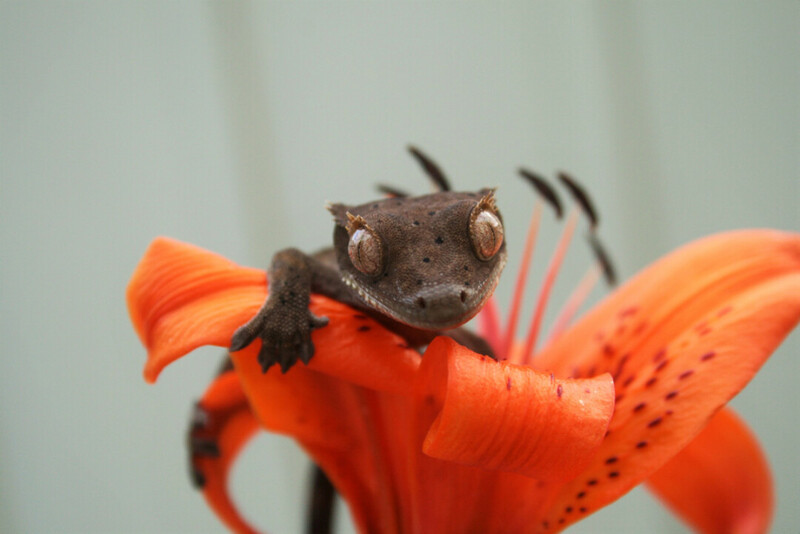 Reptiles are not everyone’s cup of tea, and we are OK with that. No one is going to make you love something you don’t or judge you for it; just like the people who love reptiles aren’t going to judge you for loving the animals you love. We share the same respect for every animal and all personally love different ones, whether they are cats, dogs, birds, etc. All any reptile owner wants is for their love to be respected. Love is like an opinion; everyone has his or her own to give. 3. We are a community. 4. We use education as our weapon. A lot of people are fearful of reptiles, especially snakes. These people either run away and say thing like “that’s disgusting,” avoid them (walking very, very far away from where they are) and say nothing, or they want to kill them. Such fear and lack of understanding threatens this hobby. You need to know that not all snakes you see are venomous, not everything that’s cold blooded is vicious (unlike your ex), and while everything that has a mouth CAN bite, that doesn’t mean it will. Being educated about these things help with the fears you have. It helps you understand. It helps you love. 5. We have strong bonds and an undying passion that we share. Like I said before, we are a community. We learn together, we argue together, and we enjoy things together. In the world of reptile owners there are bonds made over the passion we all share for animals. Great friends are found in this way of life, whether it be at an expo or in the reptile section of a pet store. I’ve gone through high school and now college, and I’ve found there are few people left who personally talk to me. When it comes to my reptile friends, though, we see or talk to each other frequently. We discuss new morphs or species that we find out about. We grab coffee and talk about breeding projects and what we hope to produce next year. We help each other out with information or tips on how to improve something we’re struggling with. Obviously, we aren’t the perfect family; there is no such thing. We can be a dysfunctional, awful mess. But we still all share the same basic ideas, goals, and passion. We rescue. We educate. We grow.